In this blog, I try to mostly keep myself reasonably well out of things. There’s a number of archery blogs out there there about ‘my progress as an archer’, many of which I enjoy. But I always wanted The Infinite Curve to be more about the professional, international sport side of things rather than either a personal blog or markedly about archery equipment. This post is going to be a bit different. 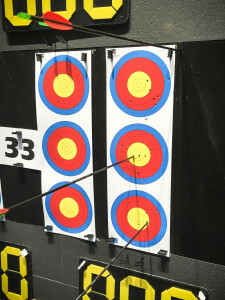 I took up recurve about seven years ago, after attending a have-a-go session at a stag do in London. I still remember that day; the slightly chilly community hall, the Samicks in their rack, the deep satisfaction of hitting the boss, the incredible annoyance of having to stop. I think I phoned and booked a beginners course the next day, and joined a wonderful archery club in London shortly after, which has provided me with years of great times and great friends. I’m sure many of you have had the same joy, that burst of enthusiasm, going headlong into something new, and perhaps, afterwards, the fading of the fun, the waning. When you plateau and realise that to carry on improving is going to take a vast amount of work, involving unlearning and learning and dealing with your brain screaming at you that “you’re terrible”. So in the last few years, I’ve gradually been writing about archery more than actually doing it, and the last two years has mostly seen the kit bag in the cupboard; life has got in the way. The occasional times I’ve turned up to the weekend club meets have been met with choruses of ‘hello stranger!’ and other, less printable jokes. I’ve been a writer, not an archer, and shooting has been a scrappy, inconsistent struggle with the bow. Which of course, puts you off going again. I don’t have any excuses. Life moved on of course, and I moved in with my partner, got a new job, got lazier and started preferring Saturday mornings in bed with the newspaper. 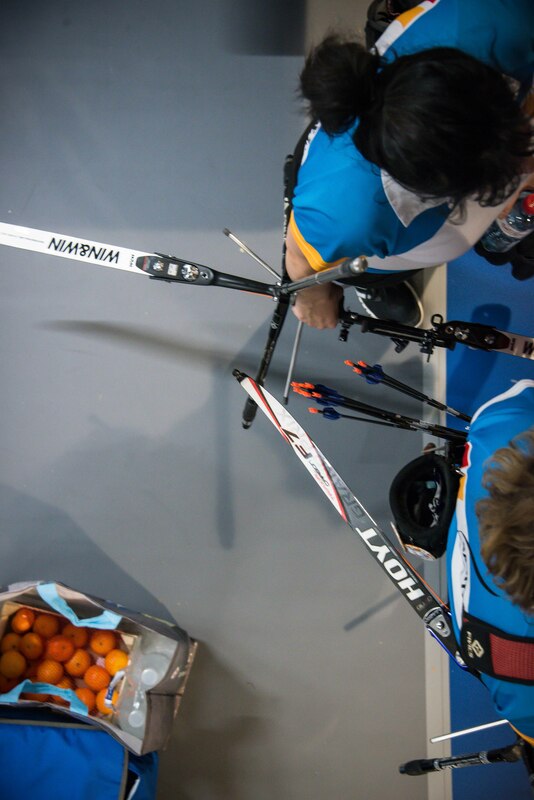 So when World Archery invited me to Lausanne with the non-negotiable proviso that “you have to shoot”, it made me gulp a bit. 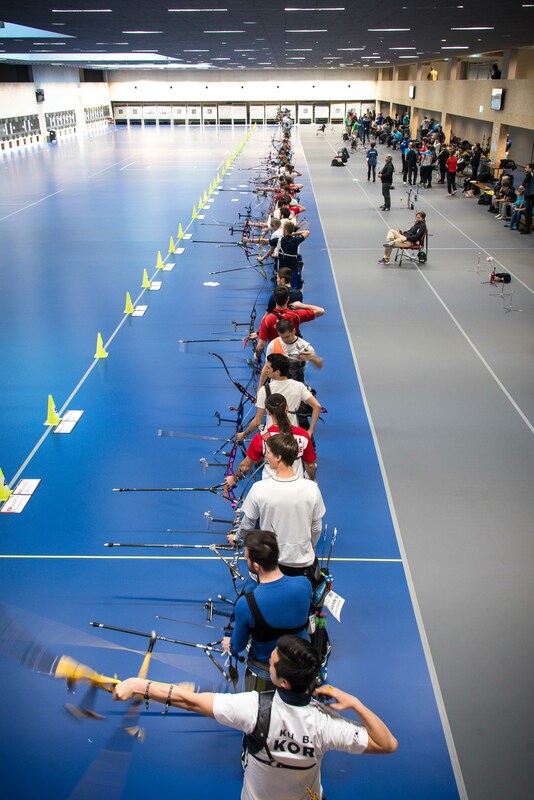 The Lausanne Archery Classic was the inaugural tournament in the amazing new Excellence Centre, and would feature a handful of elite-of-the-elite international talent and several dozen of the best Swiss and French archers. And then me. Who has shot perhaps twelve times in the last two years. Hey! That sounds fun! I spent the last couple of weeks before leaving for Switzerland almost every night at Archery Fit in Greenwich, in London (will post more about this incredible place later this month). The coaching has been strong, but they pretty much had to start me from zero. They’ve worked hard, and given me a firm base to work from. I put some effort in, but needless to say you can’t become an archer (again) in a fortnight. I have a basic shot, and just enough strength to handle the weight for sixty arrows, but that’s it. 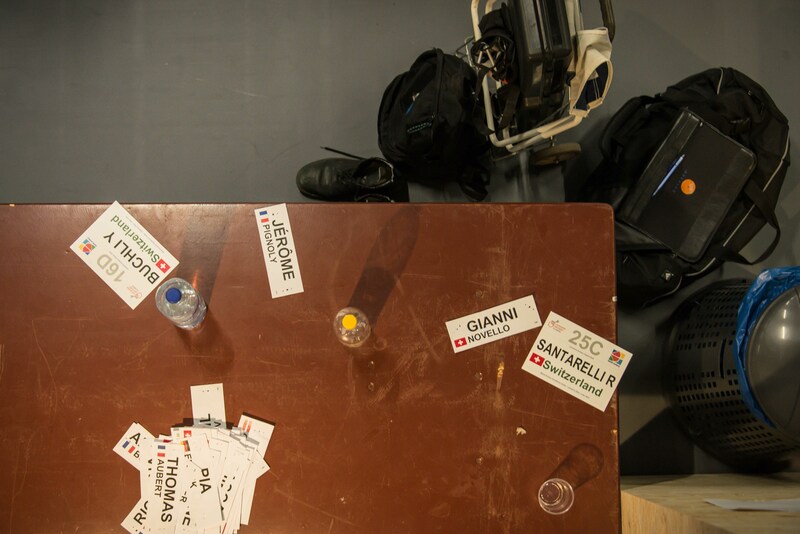 To pile it on even more, I didn’t even take a bow to Switzerland. 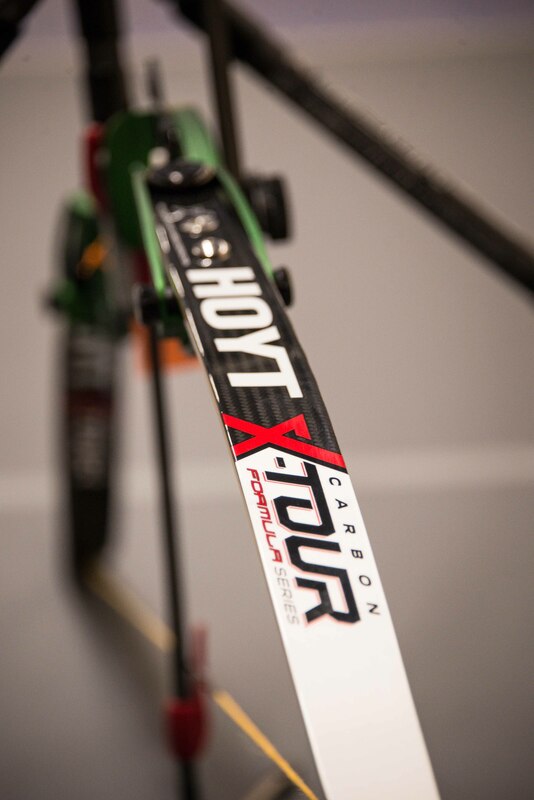 The day before the tournament, I was kindly gifted a new Faktor / X-Tour bow by my new sponsors Hoyt Formula Series, in gleaming anodised green. I know this is going to sound well-of-course-he’d-say-that, but you’ll have to take my word for it that it’s easily the most beautiful and smoothest bow I’ve ever picked up. You just look at it, and your heart sings. You want to get busy straightaway. It’s true. Everybody there wants a go on it, and gets one. Dean Alberga and Sjef Van Den Berg help me set it up and get it to a basic tune, which is equally ridiculously kind. It’s like putting a race-ready Ferrari in the hands of someone who’s just passed their driving test. Or, in my case, probably failed their driving test. There is official practice the day before, which irons out a few of the kinks. My ACGs sing towards the wall straight and flat. The equipment is ready, even if I’m not. It’s almost impossible not to be distracted by the sight of Ki Bo Bae, Ku Bonchan, and Choi Misun relaxedly pinging away in the middle of the line. Los galacticos. For extra fun, I am thick with a cold; streaming nose, dopey, pounding head, dosed up to the eyeballs with Day Nurse. At one point, Ku Bonchan comes over, stands about two feet away, and watches me as I aaaaahhh just about manage to get a shot off, back tension rapidly vanishing. I look at him. He looks at me and says “Good.” and smiles. That counts as coaching, right? I also get the once over from Park Chaesoon, Ki Bo Bae’s coach and famously, one of the noisier Koreans on the line. He gives me a wry smile which I interpret as ‘Jesus wept, but hey, nice to have you here.’ Yeaaaarrhhhh. Sunday morning arrives. I am the only male representative of Great Britain; women’s recurve is being repped by a little-known archer called Naomi Folkard, who is kind enough to help me with all my spectacularly dumb questions. Unlike everybody here – apart, apparently, from Ku Bonchan – I’ve never shot a record status FITA18 tournament. Or, indeed, any tournament in the last three years. Whether by accident, or more likely by design, they’ve stuck me on the target next to Ki Bo Bae, opposite detail, who sits behind me as I go up to shoot. Thanks guys. AAAAAAAGHHHH. There is nowhere to hide here. No deadline you can go over by a day or two, no friend you can collaborate with, no little angle you can exploit or work. It’s you out there, and everyone knows just how good or not you are. The little digital numbers above each target spell it out, coldly. Character-building. I like that, though. I need it. Even if I feel like an idiot for a lot of the morning. There’s interruptions and a few niggles with lighting, but after a slight improvement on the back nine, I finish with 347, bottom of the recurve men by a little over 100 points. The lanterne rouge. Unfortunately, the 40 men are cut to 32, denying me the chance to get mercilessly steamrollered by Ku. My fun is over. To be fair, I probably did myself justice to the amount of work I’ve put in, and performed close to my ability on the day. Oh, for another 100 hours of practice. Or 10,000. But I’ve actually quite enjoyed myself. So easy to forget that that’s the point. Ku matches the world mark, then inevitably runs through the field without incident until top Frenchman Antoine Thomas takes three points off him in a decent final. Ki beat Choi – again. (That’s gotta hurt a bit). Sara beat Sarah – again. (Ditto). 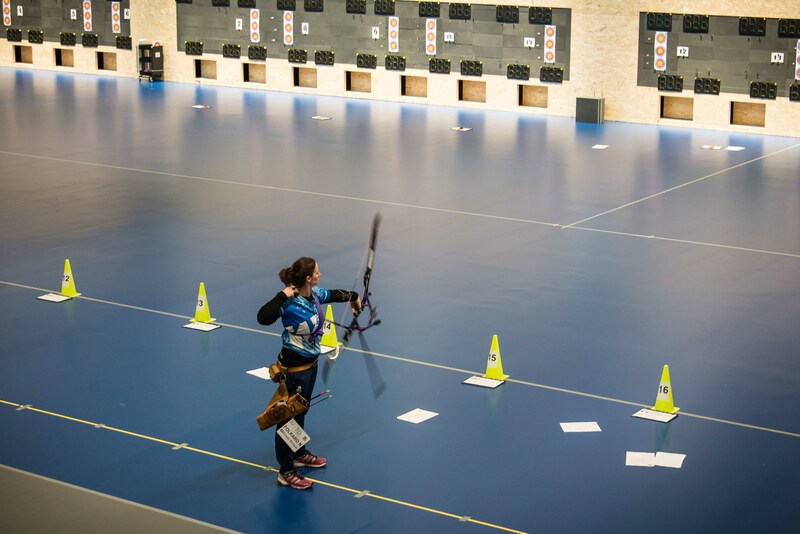 Nomes wins another shootoff for bronze. You can see all the results right here. I end up feeling pretty good. And now I just want to get out there and shoot. I want to be good. 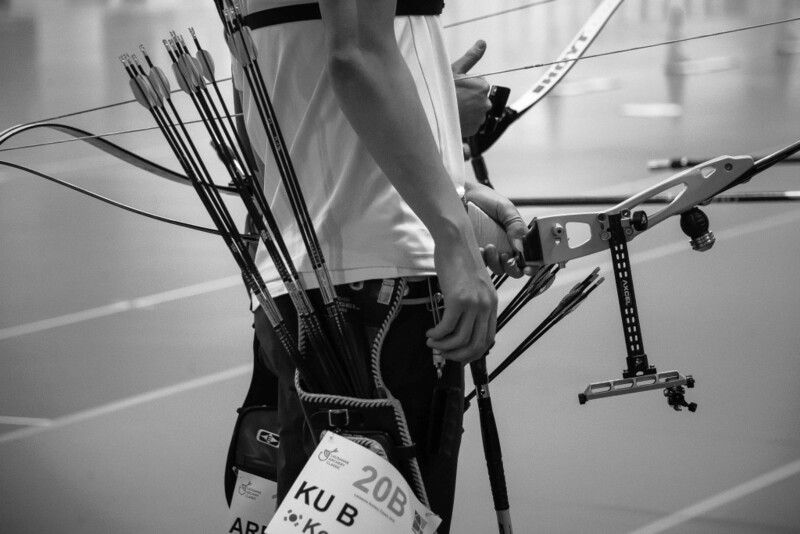 I want to be an archer again. It sings to you a song you don’t always want to hear, but know is the music you should really be listening to. It’s not always fun. It scours the character. It tells you which cupboards are empty; discipline, concentration, focus – things I’ve been missing across my life in 2016.